The next day, run the contents through a fine strainer. The East India first hit printed pages in 1882, published in the New and Improved version of Harry Johnson’s famous bartenders manual. It’s a beautiful drink, eternalized during a period of rapid change in bartending. 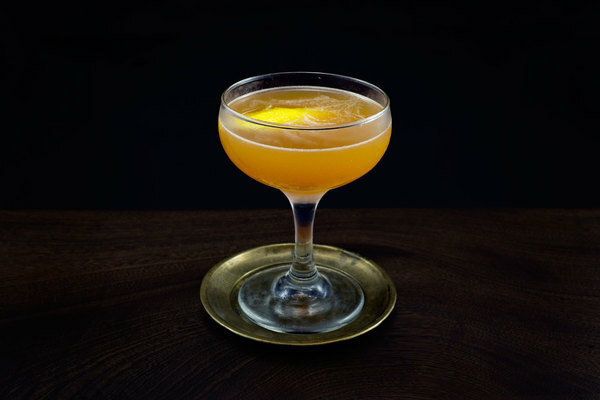 Like other pre-prohibition drinks in the improved style, the East India gently spiffs up a base spirit with dashes of various fixings. 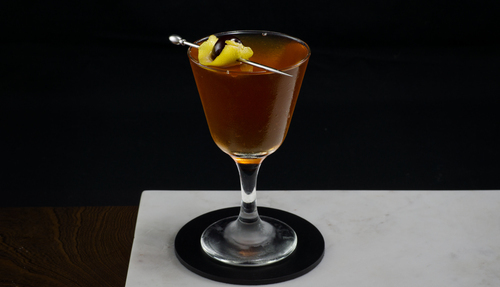 More fashionably, the drink is served up, a style that was rocketing to popularity through vermouth-based drinks like the Manhattan and Martini. Johnson updated the recipe in his 1900 edition, adding a peripheral sentence: “a great favorite with the English living in the different parts of East India.” He also made several alterations, replacing raspberry syrup with pineapple syrup and swapping Bokers bitters for Angostura. The original recipe requests only a lemon twist; in the second he gets creative, suggesting a “cherry or medium sized olive”. 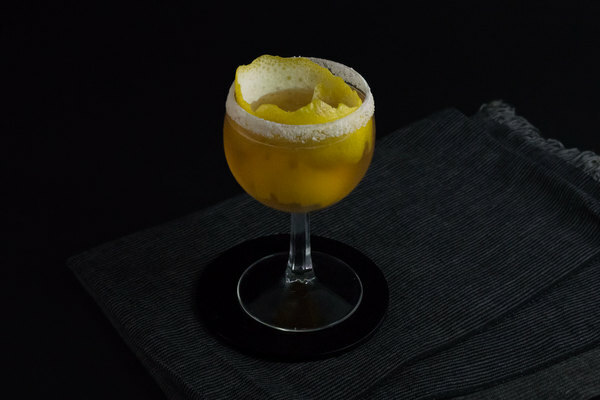 The East India is an excellent and offbeat alternative to other very old cocktails. 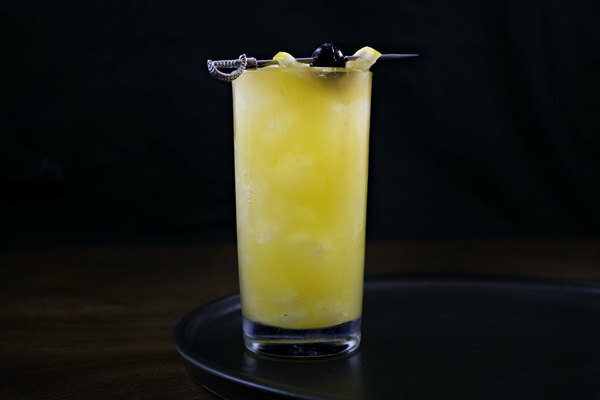 Pineapple syrup, brandy, and curacao work together for a round and fruity taste that rolls over the tongue. It’s a subtle yet intoxicating switch from the spicy and medicinal flavors seemingly inherent to drinks of the time. Some debate exists over which sweetener to use, as Johnson changed the recipe between 1882 and 1890. We think Johnson switched to pineapple syrup for good reason; the stuff has a fruity and complex aroma that brings an element of surprise and delight. Pineapple syrup isn’t hard to make, and we’ve included a recipe for it here. If raspberry syrup is on hand, that will work too. If you own a decent brandy, this is certainly the time to use it; in the words of Paul Clarke: “you’re basically getting dressed-up liquor here.” The 1900 version of this recipe suggests an olive garnish, but that is a gross idea. Always use a lemon twist, indulging in a cherry when the day prescribes it.